We have a new pattern up on Ravelry. Tyrolean Teddy Bear is a little ditty for your knitting pleasure. A sweet little whiff of stranded color work for the holidays. 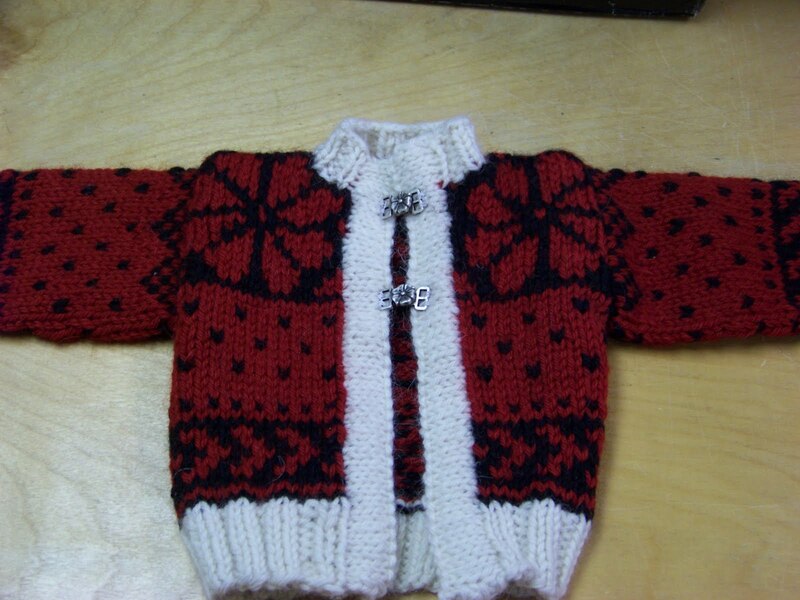 This pattern is available in a size to fit a very handsome teddy and a lovely toddler (sizes 2, 4,and 6) How about a matching pair for the cutie on your Christmas list? This little guy started out as a tutorial for a stranded color work class I will be teaching at the South Hills Knitting Guild meeting this Thursday. So if you are in Pittsburgh and a member of the South Hills Knitting Guild I hope you can make it. Should be lots of fun.